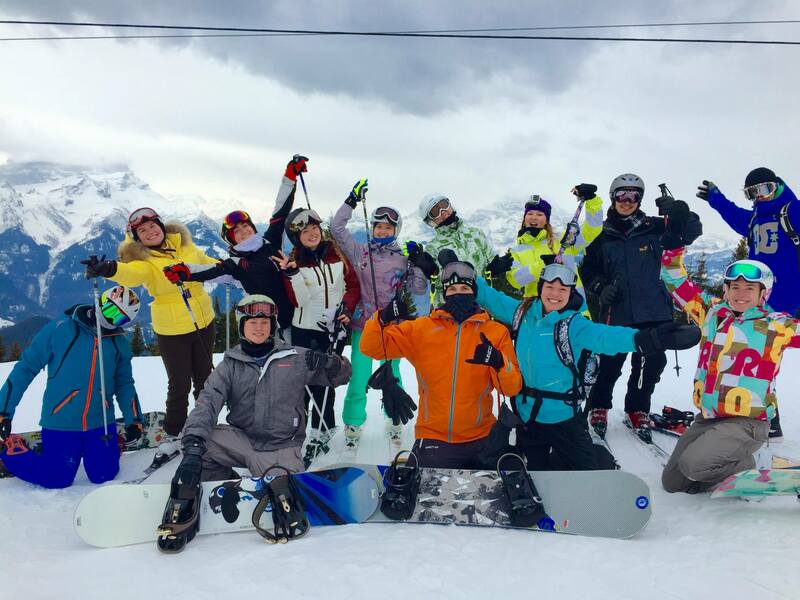 EU students recently enjoyed the annual ski trip to Villars, Switzerland. We thought there was no better way to find out how it went than by hearing from some of the students who went along! Here’s what Mostafa Ammar and Margaryta Pugach had to say…. The EU ski weekend was certainly a lot of fun! The first day started off by unpacking in the hotel and having a nice breakfast. We then headed off to the ski shop for those who wanted to rent equipment. At 10:00, it was then time to hit to the slopes! Some of us skied until 13:00, had lunch and then left. Others (like myself) stayed after lunch to ski some more! After our skiing session, we all met in a nearby bar where we had drinks. In the middle of the night, we all went to a restaurant located up in the mountains, practically in the middle of nowhere, using skimobiles. It was honestly one of the most exciting things I have ever done, and certainly an experience I will never forget! We then had dinner in the restaurant where they served baked potatoes with melted cheese – apparently a typical Swiss dish called Raclette. It was so tasty! After that, we all put snow boots on and were given a torch by the supervisors to help us find the way home in the dark. These were the only sources of light up in the mountains. We had to make our way back all the way down to the bottom, which took us around an hour and a half – but it was totally worth it! I wasn’t excited at the beginning for the long walk, but eventually I thought of it as something new and exciting and I actually started enjoying it. We returned to the hotel shortly after that. The next day we were free to do what we wanted – I chose to do more skiing of course! W all had to meet back at the hotel at 14:45 to catch the bus back to Montreux. What are the elements that make up a perfect weekend? First of all, it is the good people you enjoy talking to and spending time with. The second thing is the place, where you spend that time, as the right environment effects your mood! Finally, you need to have both active and passive rests throughout the day. The trip to Villars that EU organized included all three of these elements. We spent time with our classmates and became good friends with the new students. Spending time in the mountains gave us enough energy for the whole day – this let us make the most of a completely different world where we could just enjoy the winter activities after a tough week of studying. The day’s program certainly didn’t bore us. After skiing, we took a rest in our rooms and got together for some drinks before dinner in a nice local bar with an extremely friendly atmosphere. After a traditional Swiss dinner we took a walk in snow boots and carried torches. This was such a magical experience and a perfect ending to a perfect day.